[S2401] Find A Grave: Chapel of the Chimes Memorial Park, Hayward, California, Edith Margaret Pollock Dattke, created by Travelingal, added Mar 2008, memorial number 25169725. [S2403] Boyd Richard Dimick, Deseret News , Salt Lake City, Utah, 17 Oct 1994, obituary notice. Birdie Lindsey "Gram Birdie" PRICE- Roberta "Birdie" Leger Lindsey, age 81, passed away December 20, 2003 in Price. She was born March 12, 1922 in Rolapp, Utah to Anthony Joseph and Zina Arilla Dimick Leger. Married Odell Lindsey, March 21, 1940 in Sunnyside, Utah, marriage later solemnized in the Manti LDS Temple. Odell passed away on March 28, 1975. Mom worked 37 years for Intermountain Farmers. She started as egg candler and eventually became the secretary/bookkeeper and later served as assistant manager until her retirement at age 71 in 1993. She was proud of the fact that in 1969, the same year as her youngest child was a graduate of Carbon High, that she finally received her diploma. She served in her church as a Primary Teacher, Sunday School Teacher, Young Women's Teacher and lastly served several years as Ward Librarian. Birdie painted (acrylics and oils) every week with a group of ladies at the Senior Center and her paintings are treasured by family and friends alike. "Gram Birdie" will be dearly missed by each child and each and every grand and great-grandchild and a community of friends. She is survived by her brother, Max (Mary) Leger, West Valley City; step-sister, Barbara (Alvin) Thayne; her five children, R. Anthony (Toni) Lindsey, Ronald O. (Phyllis) Lindsey, R. Maxine Samples and Gary Lyon, David A. (Bonnie) Lindsey, Kathy A. (Bob) Donathan, all of Price, Utah; 20 grandchildren and 43 great-grand-children. Preceded in death by son, Timothy; her parents; husband, Odell; grandson, Blue; and son-in-law, Denny. Funeral service, Friday, December 26, 2003, 2:00 p.m. Price North LDS Stake Center. Family will be at Stake Center Friday one hour prior to service. Friends are welcome at Mitchell Funeral Home in Price Tuesday and Wednesday. Interment, Price City Cemetery. [S2411] Roberta Leger Birdie Lindsey, Deseret News , Salt Lake City, Utah, 23 Dec 2003, obituary notice. [S2454] Find A Grave: Price City Cemetery, Price, Utah, Timothy Lindsey, created by L Finley, added Jan 2011, memorial number 64348629. [S2454] Find A Grave: Price City Cemetery, Price, Utah, Odell Lindsey, created by L Finley, added Jan 2011, memorial number 64348634. 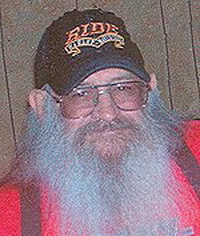 Robert Anthony "Rev" Lindsey, 68, was called home to Our Father on February 13, 2010 at his home. He resided at 814 East 6500 South in Price, Utah at the time of his death. He was born June 30, 1941 in Price to Odell and Roberta "Birdie" Leger Lindsey. At the age of seventeen, he enlisted in the U.S. Navy and after many voyages on the seas of the world, he returned home after twenty years of service. On August 13, 1981, he married the "LOVE" of his life, Toni Maye Nielsen, in Price, and they were blessed with twenty-eight years of marriage. He was a member of The Church of Jesus Christ of Latter-Day Saints. He shared a deep and abiding love for his family, grandchildren and his great-grandson. One of his greatest enjoyments was meeting weekly with the coffee group at Ricardo's. Over the years they mined a lot of coal, B.S., and solved many problems. Rev always had a warm welcome and a new joke to share with everyone. He never met a stranger and never repeated the same joke twice. He spent many years in the coal mining industry in Colorado and Carbon County, where he made many lasting friendships. Whether he was called upon to marry a couple, help someone in need, decorate a cake, or demonstrate his cooking skills. You always knew you could count on "Rev". His passions included collecting guns and knives and riding his Harley with the wind ruffling in his beard. Rev was a loving husband, father, grandfather, great-grandfather, brother, uncle, and friend who will be dearly missed by all that knew him. He is survived by his "Love", Toni Maye Lindsey; children, Robert Anthony (Misty)Lindsey II, Shane Clarence (JaiLene) Odell Lindsey, Robyn Annette (Robert) Tipton, Stacy Lee Lindsey, Jenalee (Jason) Ward, Maleah Shantell Lindsey, and Anthony Ray Lindsey; brothers and sisters, Ronnie (Phyllis) Lindsey, David (Bonnie) Lindsey, R. Maxine Lyon, Kathy (Bob) Donathan; brothers-in-law and sisters-in-law, Gordon (Paula) Nielsen, Kathy (Gary) Birch, Ralyn (Denny) Carter and Wayde (Tracy) Nielsen; and numerous nieces and nephews. He was preceded in death by his parents; brother, Timothy. Funeral services will be held on Wednesday, February 17, 2010 at 1:00 p.m. at Mitchell Funeral Home. The family will be at Mitchell's on Tuesday evening from 6:00-7:00 p.m. and Wednesday one hour prior to the services. Published in the Sun Advocate on February 16, 2010. [S2408] Find A Grave: Elmo Cemetery, Elmo, Utah, Robert Anthony Lindsey, created by Ryan D Curtis, added May 2010, memorial number 52082261. 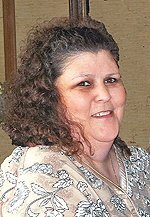 Our loving mother, grandmother, sister, and longtime friend, Toni Maye Nielsen Lindsey, age 51, passed away of a broken heart on March 10, 2010 at Castleview Hospital in Price. She resided at 814 East 6500 South in Price, Utah at the time of her death. She was born July 23, 1958 in Gunnison to Morris J. and Helen Swasey Nielsen. On August 13, 1981, she married Robert Anthony "Rev" Lindsey in Price; and after twenty-eight years of marriage "Rev" unexpectedly passed away on February 13, 2010. Toni was a member of the Price Chapel-Christian Missionary Alliance. She enjoyed scrap booking, crafts and collecting snow babies. Toni lived for her family and her greatest memories were those that she shared with her children and grandchildren. We know her parting is all to sudden, but we find comfort in knowing that she's reunited with her best friend and constant companion "Rev." She is survived by her children, Stacy Lee Lindsey, Jenalee (Jason) Ward, Maleah Shantell Lindsey, Anthony Ray Lindsey; Robert Anthony Lindsey II (Misty), Shane Clarence Odell (JaiLene) Lindsey, Robyn Annette (Robert) Tipton; brothers and sisters, Gordon (Paula) Nielsen, Kathy (Gary) Birch, Ralyn (Denny) Carter and Wayde (Tracy) Nielsen; brothers-in-law and sisters-in-law, Ronnie (Phyllis) Lindsey, David (Bonnie) Lindsey, R. Maxine Lyon, Kathy (Bob) Donathan; seventeen wonderful grandchildren; one great-grandson; and numerous nieces and nephews. She was preceded in death by her parents; husband "Rev"; nephews, Travis Carter and Cory Nielsen; and niece Jonnita Nielsen. Funeral services were held on Saturday, March 13, 2010. Published in the Sun Advocate on March 16, 2010. [S2408] Find A Grave: Elmo Cemetery, Elmo, Utah, Toni Maye Nielsen Lindsey, created by Ryan D Curtis, added May 2010, memorial number 52081634. [S2614] Sandra, family tree titled "Thomas Tobey of Sandwich Descendants", published by Ancestry.com, wc.rootsweb.ancestry.com, from database named tobeydescendants, updated May 2009, viewed Sep 2011.